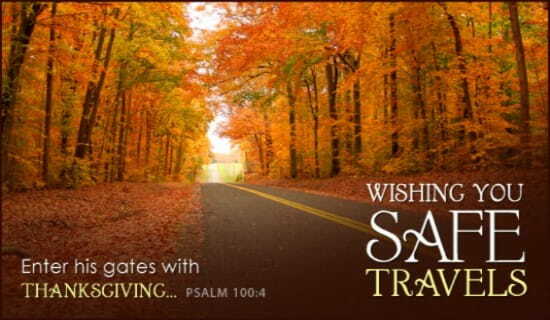 If you are travelling this week for Thanksgiving please be careful. Also be thankful that you can travel. Many can not because of income or the country they live in (be grateful for the freedoms we have in America) or they have no family left. Thank those that have fought to protect our freedoms. I pray you will have a safe and joyful Thanksgiving. God bless you, Rob and may you and your family have a wonderful holiday!